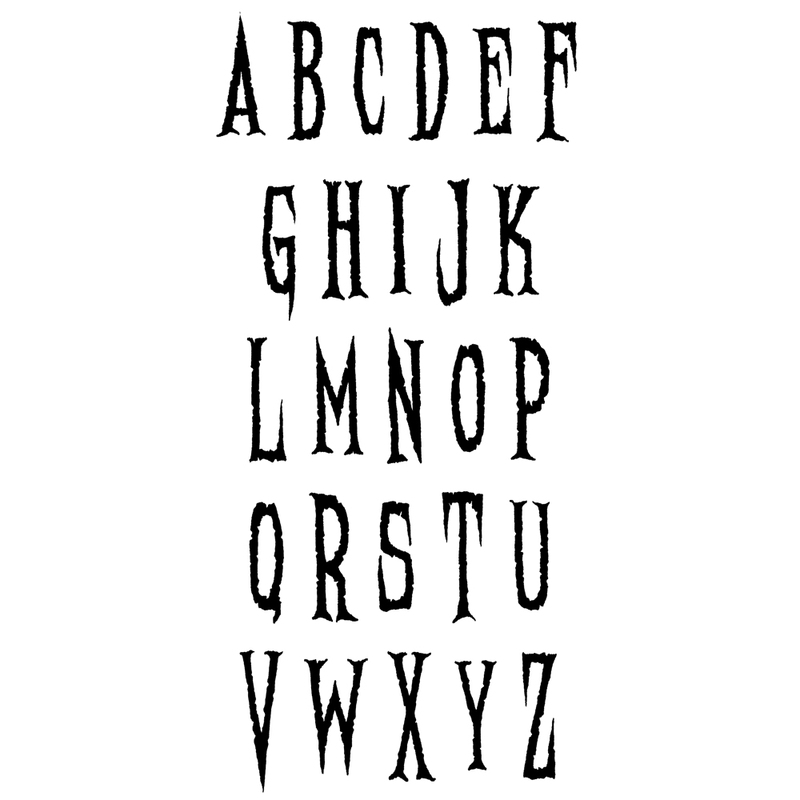 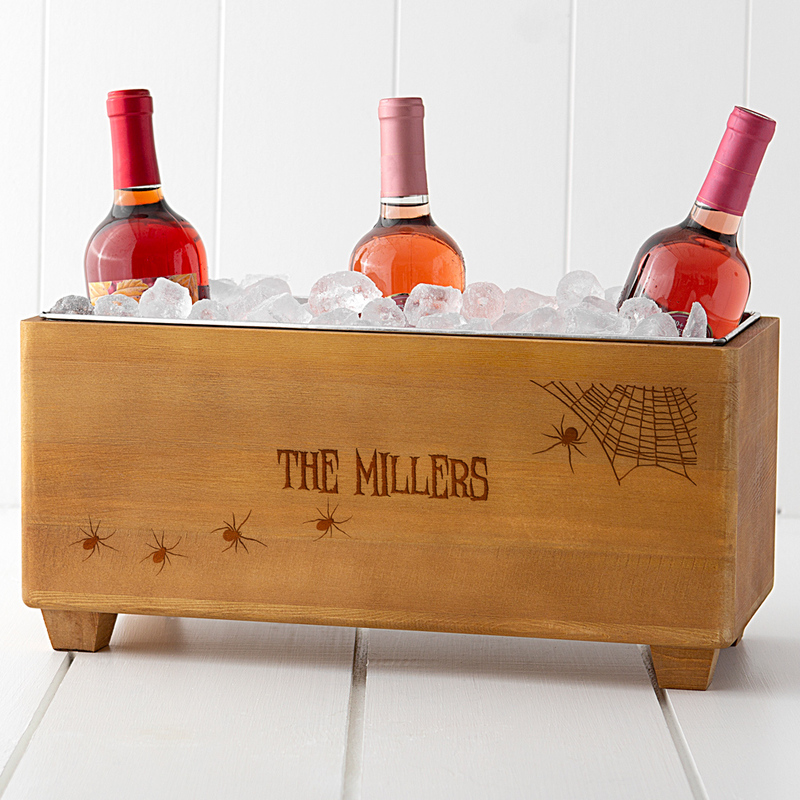 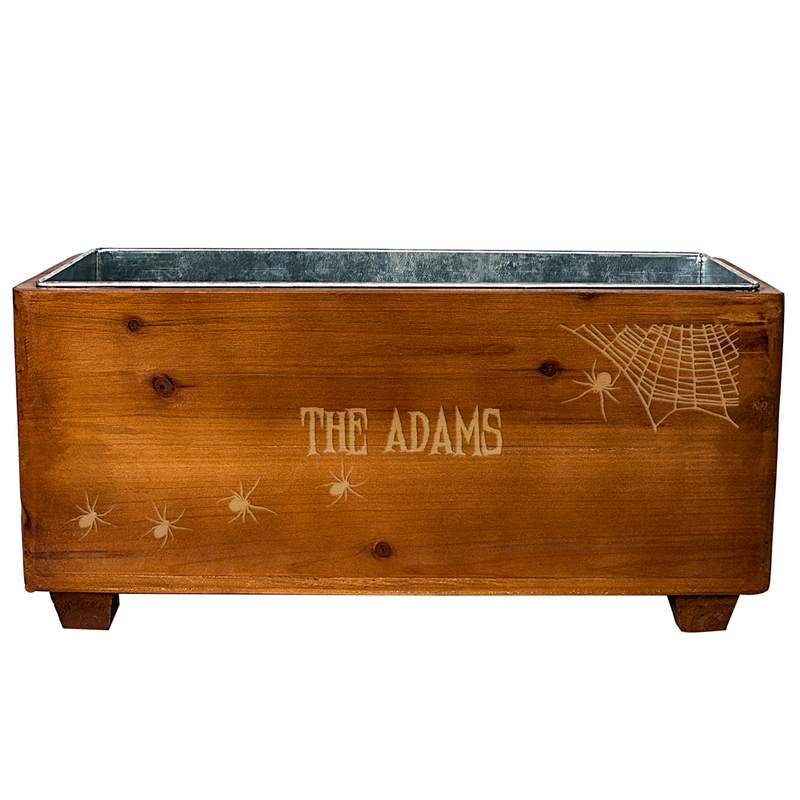 Add a custom spooky touch to your Halloween party with this custom rustic wood wine trough laser etched with a custom line of text and spiderweb design. 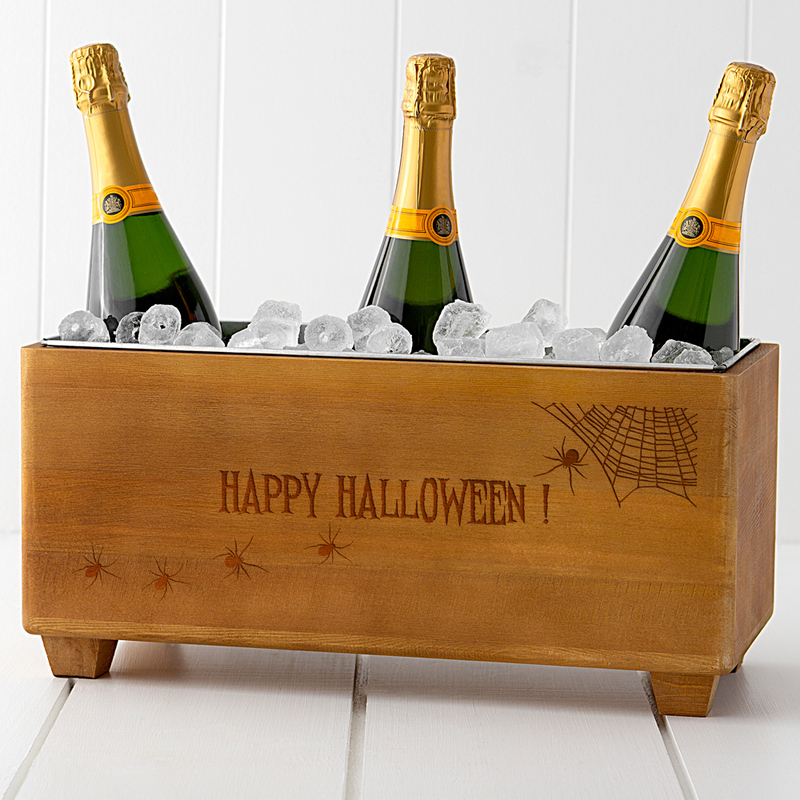 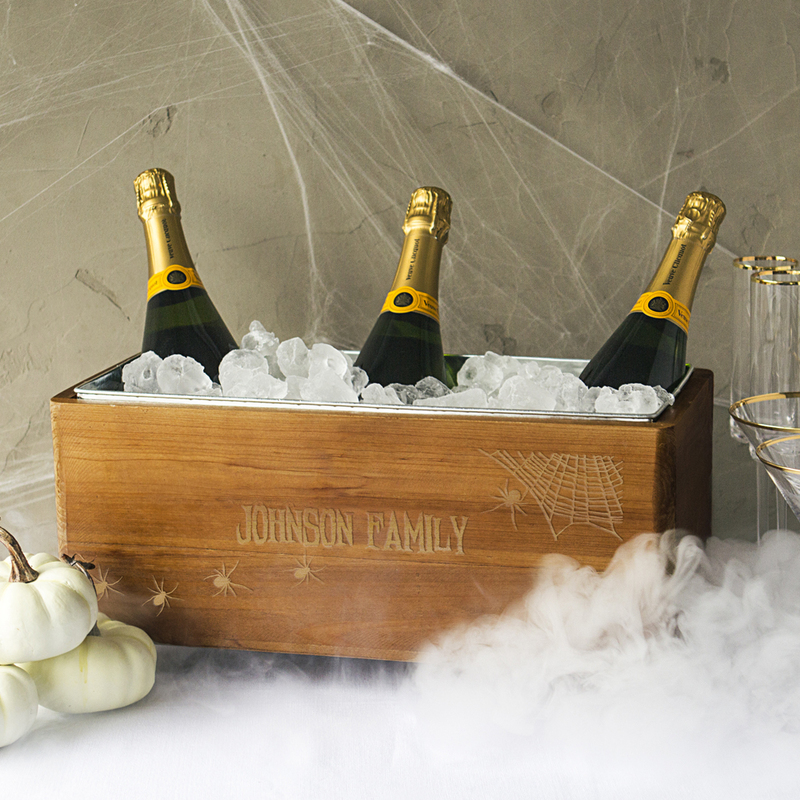 A unique hostess gift idea for the family that hosts an annual Halloween bash. 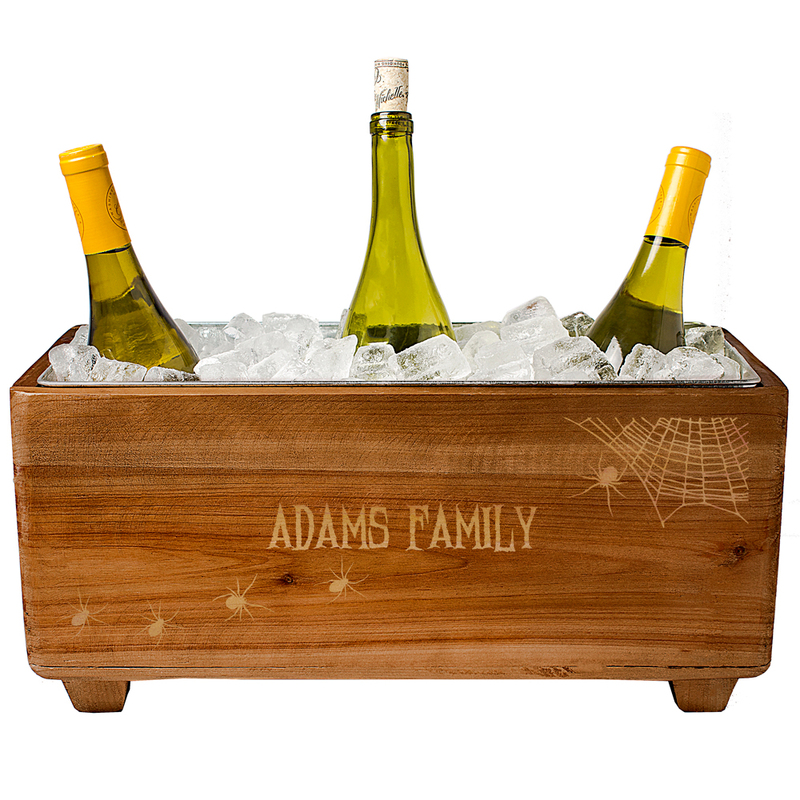 Made of rustic, stained fir wood, the front is laser engraved with a family name or short phrase in the lettering shown; up to 15 characters. 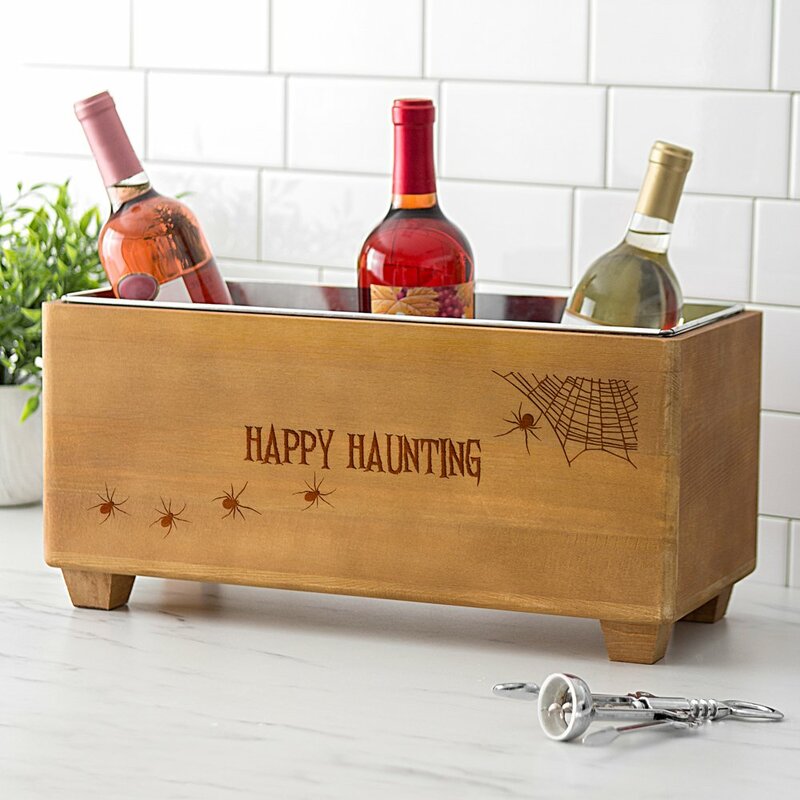 This roomy portable wine trough will comfortably hold three bottles of wine or 6 bottles of beer with ice for entertaining your ghoulish guests.